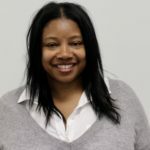 BROOKLYN — Tuesday’s Board Of Elections hearing—full of technical snafus—resulted in a 17-person ballot with some unexpected outcomes for the Feb. 26 Public Advocate’s election. In a surprising move, Assemblywoman Latrice Walker bowed out of the race. According to her attorney, Walker declined to move forward because she couldn’t raise enough money to participate in the $8 to $1 matching funds program. The candidate’s lawyer appeared before the Board of Elections (BOE) requesting Walker be removed from the ballot. BOE officials declined the request citing election law that says a candidate must die, be convicted of a felony, or move out of state to be removed from the ballot. Helal Sheik came out a winner. The longshot didn’t specify “public advocate” on the required paperwork and faced being removed from the ballot. But his representative, Garth Marchant, argued that because the special election doesn’t run concurrently with any other election it is implied the candidate submitted for this public advocate’s race. “There is no other election before this body,” he said. Marchant also argued another technicality Sheik was facing didn’t specifically violate election law. The board voted 5 in favor with 2 abstentions to allow Sheik on the ballot. Danniel Maio, on the “I Like Maio” line, also fought two separate objections but ultimately succumbed to both. The registered Republican filed 1,080 signatures of the requires 3,750. After thanking the board and the “dedicated” BOE staff, Maio seemed to retire from future elections. “This is my last race,” he said before making a spirited debate to remain on the ballot. His attempts were futile and he will not be on next month’s ballot. As was the fate of Theo Chino, who ran on the “Courage to Change” Party. According to the BOE, the candidate filed 60 of the 3,750 required signatures. Chino did not attend the hearing nor did he send a representative. Chino will not make the Feb. 26 ballot. Ifeoma “Ify” Ike, who filed her certificate of acceptance late, also did not make the ballot. Ike said she hasn’t decided if she’ll challenge the prima facie ruling in court. Michael Zumblaskas, Gary Pokin and Abbey Laurel-Smith all faced objections, none of whom were able to fight their way onto the ballot. All three who appeared on the military ballot mailed out last week will not appear on the election-day ballot. The Feb. 26 ballot will be 14 inches long, using the wrap-around format with six rows of candidates names. As per new election law, each ballot will contain a perforated portion that runs across the top of the ballot. An attorney for Councilman Rafael Espinal challenged the wrap-around format. He argued candidates who submitted after Espinal automatically have a ballot advantage because of the format which reads from left to right. 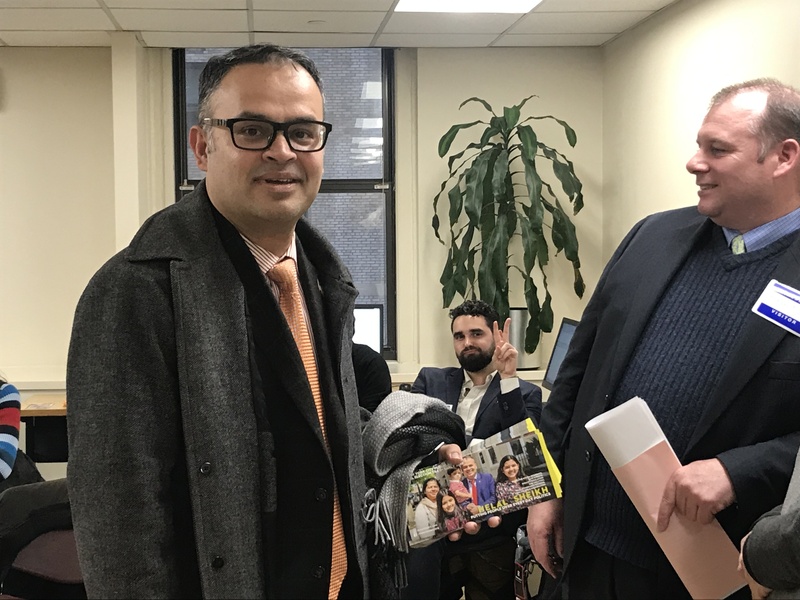 “We’re being disenfranchised by submitting earlier than [those who filed afterward],” said Michael Ameda who claimed the candidate had access to a sample ballot and purposely submitted seventh to ensure better ballot placement. Here’s the rundown of candidates to appear on the Feb. 26 ballot for public advocate.